Hoping to capitalize on the void he saw in the central Florida custom cabinetry industry, Kevin Ward established A Ward Design in Winter Haven in 2001.A well-known resident of Winter Haven for more than 30 years, Ward, 47, knows his reputation as a homebuilder gave him a running start in building a clientele. He operates the only custom shop of its kind in his region, producing high-end kitchens, baths, bars and entertainment centers. 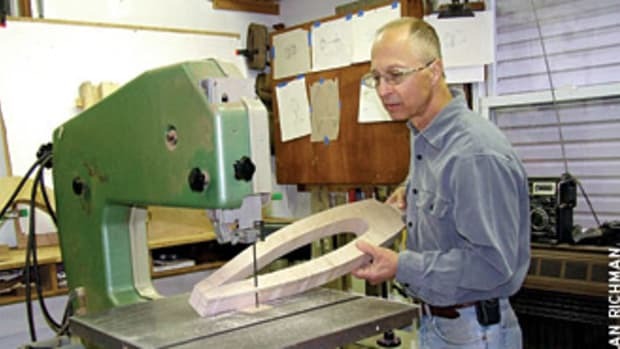 Now that he has a handful of skilled employees who know how to use the state-of-the-art equipment in his immaculate shop, Ward spends most of his time in the office, designing custom products on his computer and transferring data to the Weeke CNC router he bought less than two years ago and his four-year-old Holz-Her beam saw. While he does set foot in the shop to make a part on the CNC from time to time, he enjoys his supervisory role in the office. "When you decide to go automated, the work is done in here and not out there," he says from his desk. "I really like drawing in AutoCAD. Drafting was one of my favorite classes in high school. I love designing." Only 30 minutes from Walt Disney World, Ward lives in the heart of a community saturated with retirees and dotted with homes owned by seasonal vacationers who seek out his meticulous workmanship. His out-of-state clientele is located in the mountain resort areas of western North Carolina. Logistics have kept him from accepting other out-of-state offers up to this point, but with plans in the works for a product catalog, that may change in the near future. Size of shop: 6,000 sq.ft. About: Kevin Ward got a jump start in the cabinetmaking industry by first making a name for himself as a high-end homebuilder. When he decided to venture into business on his own, he taught himself to make frameless cabinets and bought the necessary machinery. He now has a high-tech shop suitable for growth. 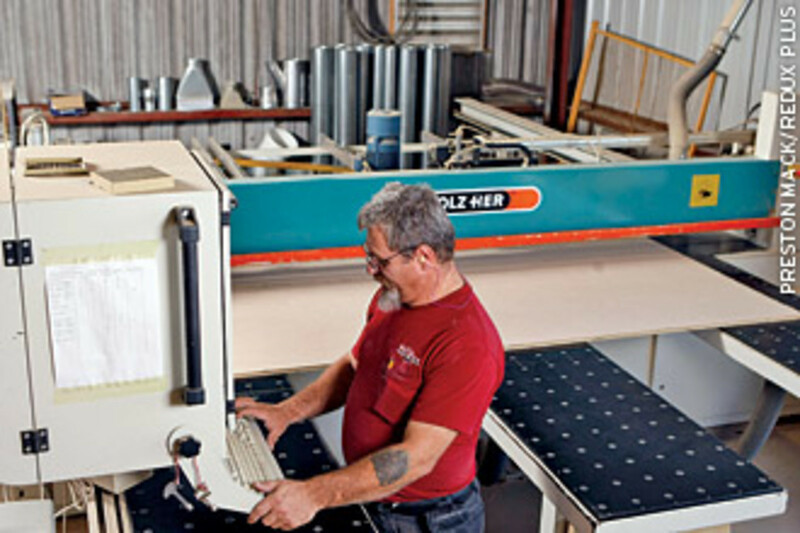 Quotable: "My biggest mistake was probably not buying a CNC from the very beginning. 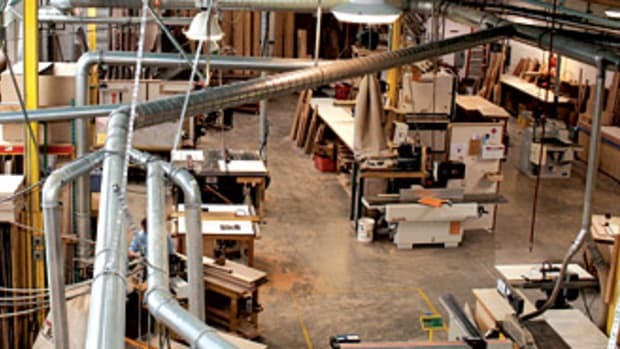 If I had to start my cabinet business all over again, and knowing what it is I build in my shop, I probably would have bought a nested-base router and an edgebander as my first two primary pieces of equipment." Ward grew up in Ohio until the family moved to the Winter Haven area when he was 15. He learned carpentry in high school and from his father, Ray Ward, a custom home builder. In the early &apos;80s he earned his electrical journeyman&apos;s license, started his own company and began wiring houses for his father, then switched over to trim carpentry in 1986. Ward and his brother Roger eventually took over their father&apos;s business. As Ward Bros. Construction grew, Ward&apos;s role shifted to designing and engineering tasks. In 1989 Ward Bros. split up; Ward&apos;s father wanted to retire in North Carolina and Roger moved with him. 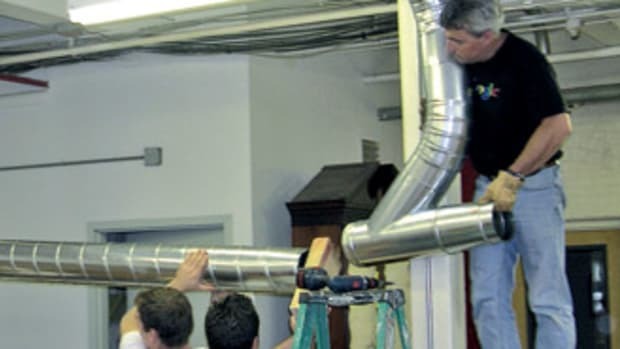 Ward decided to stay and was hired by his local building supply outlet, Adams Building Supply, to resuscitate its failing cabinetmaking department. By the late &apos;90s, the housing market in the Winter Haven area was booming, and the supply company decided to strictly sell lumber to accommodate demand. Ward bought the cabinetmaking department and named it Winter Haven Kitchen and Bath. At first, he was basically buying the cabinets from KraftMaid and installing them, adding a few custom touches here and there. "I just couldn&apos;t get what I wanted from KraftMaid and so I started making my own stuff. 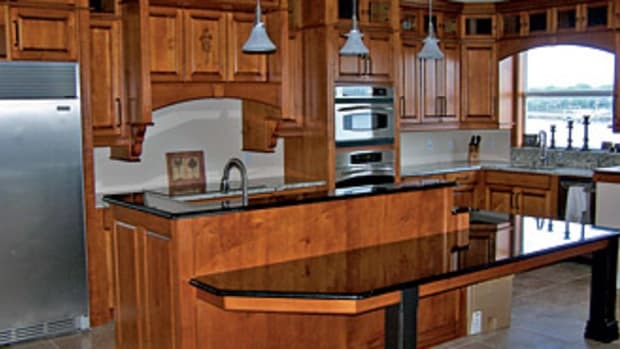 I sold Winter Haven Kitchen and Bath and started A Ward Design, which was a total custom shop." Ward worked out of his garage that first year and remained skeptical about the cabinet business. Mostly, he was hesitant to purchase the necessary machinery. But after doing a few custom jobs for friends, and becoming inundated with requests, he gave in and rented a 3,000-sq.-ft. warehouse. He went to the 2002 IWF in Atlanta to research machinery for building cabinets and came home with his first three production-type machines: a Holz-Her vertical panel saw and edgebander and a Ritter line drill. 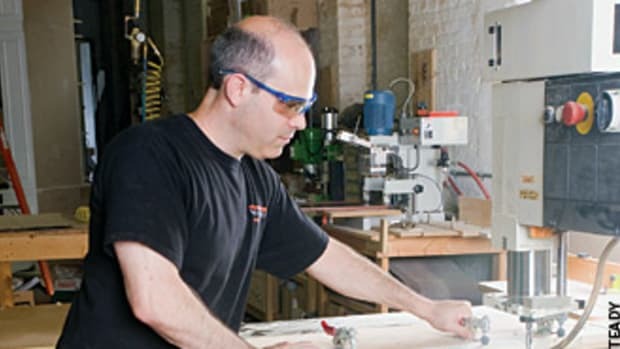 He was immediately intrigued by the 32-mm system and started building European-style cabinets, which established his standards as a frameless cabinet shop. "I can&apos;t imagine building a face frame cabinet. It doesn&apos;t make sense to me. When it comes to designs we pretty much build whatever the client wants, so long as it fits into our system. It has to be frameless, it has to work well with the equipment we have and the finishes we use. Otherwise, we pass." Some clients peruse Ward&apos;s oversized work portfolio to get ideas, but usually they have a picture or idea of their own to start the process. Ward does all of the design and drafting, using AutoCad. Microvellum and Smartlister are his softwares of choice for his CNC. "We use EuroSoft Ardis software for our panel optimization and label printing. The label printing is probably the number one revolutionary thing we ever did. You wouldn&apos;t understand unless you are trying to keep track of hundreds of parts in your shop by writing on the edge of the part with a Sharpie." Most of Ward&apos;s work comes via word of mouth, with a little help from his Web site. With a three-month backlog, he&apos;s always had more work than he can handle. "Because of my building background and the fact that everybody in Winter Haven knows me, we had a good reputation for building custom homes, and that just follows me." About 60 percent of A Ward Design work is done in residential mountain homes in western North Carolina, mainly in the town of Cashiers. Ward&apos;s brother, Roger, is a general contractor there who owns and operates RT Ward Builder Inc. Roger makes all the arrangements for the subcontractors, and introduces Ward to his clients. Ward either makes the 10-hour drive or flies to meet with them, taking measurements and doing preliminary drawings. The brothers build about a half-dozen homes a year. 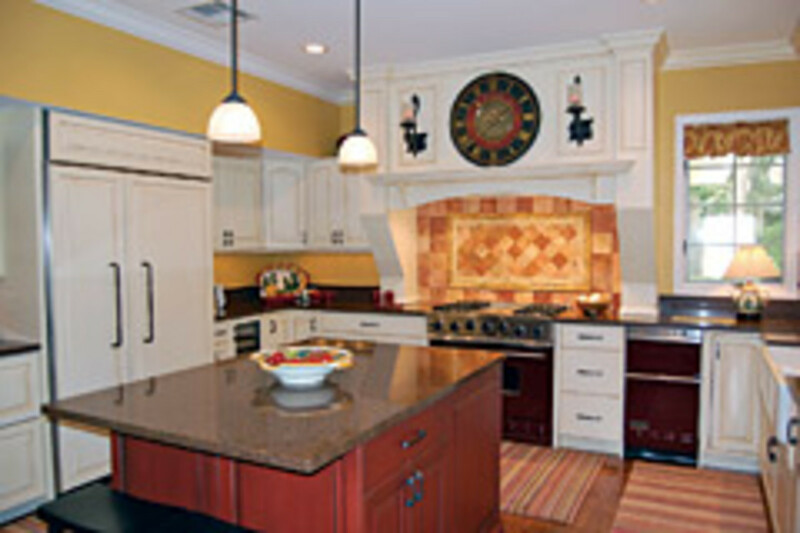 Ward&apos;s cabinetry jobs range from $60,000 and $80,000 for a whole-home package. Ward says his brother really goes the extra mile for him by meeting with homeowners in his absence. Once a design is agreed upon, A Ward Design builds the woodwork in Winter Haven and ships it to North Carolina on a tractor-trailer. Back home, most of Ward&apos;s jobs are at homes in Winter Haven. The more the company grows, the more work he gets in surrounding areas â€” throughout Polk County and south to West Palm Beach. 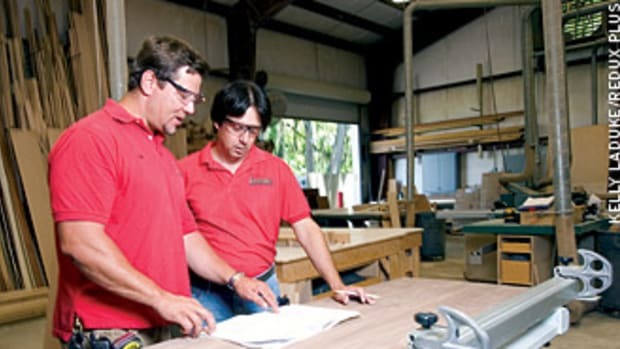 The shop completes about 20 large jobs a year in Florida, plus another 40 commissions for bathroom vanities, kitchen islands and other smaller jobs. An average small kitchen at A Ward Design sells for about $14,000, which doesn&apos;t exactly compare favorably with prices from a discount retailer. But Ward isn&apos;t interested in competing. "Once in a while we&apos;ll get some tire kickers and those are the people we try to avoid," he says. "We advertised in the local newspaper for a while and we were getting a lot of calls from people who were also shopping at Home Depot and Lowe&apos;s, and that&apos;s not really our market. Usually I&apos;ll tell somebody when they come in here our price point starts where Home Depot leaves off." Ward has done work for a local icon, Banana George. George, 94, is a retired banker who achieved a measure of fame as a barefoot water skier. The man claims bananas are the fountain of youth, and markets himself in yellow by wearing that color everywhere he goes. He drives a yellow car and lives in a yellow house. The kitchen Ward worked on had a yellow countertop with white cabinets. In 2007, A Ward Design grossed close to $1 million, which was drastically higher than the previous year&apos;s $600,000. Ward says he&apos;s dying to reach that million-dollar mark - a goal he likely can count on. There is little competition, and often the smaller cabinet shop owners in the area will refer him for more intricate work. "Some clients show us a floor plan and we ask them what they like and don&apos;t like, and we build their project pretty much site unseen. I&apos;m always a little nervous until they say they love it. So far, we are batting a thousand." Ward outgrew his first shop in 2005 and bought a cluster of buildings with 28,000 sq. feet. He uses 6,000 sq. ft. of the space for the shop and leases out the rest. The facility is the former Cypress Gardens Water Skis plant, and is more than adequate for company growth. "When I get a new client, or if they&apos;re a referral and have never met me, the first thing I do is get them out here to the shop. I think a lot of people have a stigma about whether what we&apos;re building is going to meet their expectations. We like to show off our capabilities." When he moved into the shop, he sold his panel saw and upgraded to a computer-controlled Holz-Her beam saw. "The saw cuts so accurately; it&apos;s within several thousands of an inch." he says. "We actually do all of our cutting and measuring in millimeters. The metric system is so much better than our imperial system. I&apos;m disappointed we didn&apos;t convert over like we were supposed to when I was in grade school." Ward calls his Weeke CNC router, purchased in 2006, a "dream machine that has taken our shop to a new level." It is absolutely the "cat&apos;s meow," he says. "We used to use a line drill to drill our cabinet sides with 32mm system holes. With the Weeke, we can drill holes anywhere we want." The shop floor also features a DISA dust collection system with Nordfab Quick-Fit ductwork, ALUP screw drive compressor, Cosma brush sander, Col-Met spray booth, and M.L. Campbell finish products. A majority of commissions are done in cherry but more recent ones have been built in walnut, teak, ash and alder. 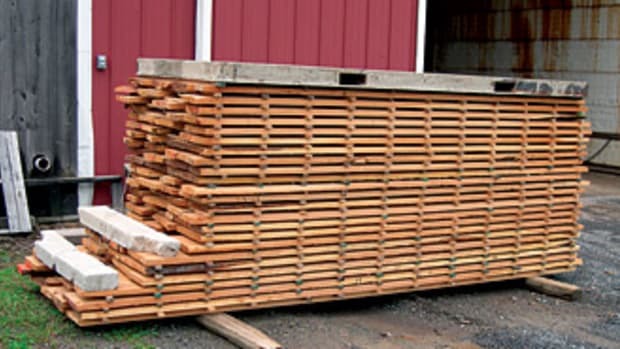 Ward&apos;s current Florida lumber suppliers are A & M in Orlando, Quality Plywood Specialties in Clearwater, and Dixie Plywood in Tampa. Ward out-sources wooden components such as corbels and appliquÃ©s from a variety of manufacturers. Old, worn and distressed finishes are part of the company&apos;s logo. As for his employees, Ward says they&apos;re the best group he&apos;s had. "We allow our employees a lot of freedom to work around their children&apos;s schedules and personal matters. We have a whole shop stereo surround sound system and a big TV up on the wall. It&apos;s nice to watch the news in the morning and keep up with important current events, such as a hurricane or space shuttle launch. It allows us to not feel isolated from the world." The shop&apos;s finisher, Angie Valdez, has 15 years of experience and has taken the shop to a new level, Ward says. Then there&apos;s the three D&apos;s: Don, Don and Denny. Dennis Taylor is a woodcarver and artist, and understands the 32mm system inside out. Shop foreman Donald Keene owned a woodworking shop for 20 years and is always anxious to get the job done. 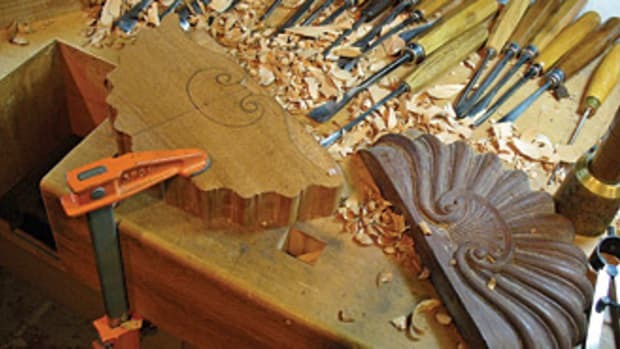 Donald Gregory is an experienced woodworker who is constantly building jigs, carts and drawers. Ward&apos;s son Eric, 21, keeps the computer systems running and maintains the Web site. "He&apos;s also a Microvellum expert," says his proud papa. "He designs specific cabinets from the ground up and they become part of our standard library. Eric also has the uncanny ability to figure out what&apos;s wrong with the machines when they go down. He is a super people-person and our clients can&apos;t believe how mature he is for his age. "Bryan, my oldest son, has gone a different route pursuing Internet Web marketing and Web radio as his passion. I&apos;m hoping in the future he will be involved in marketing our products." Ward has work lined up well through the end of the year and expects the business to grow by leaps and bounds. Son Eric is currently working on a catalog to sell products wholesale, but the difficult part is deciding on what products to offer as "standard" and what to offer as an "upgrade." 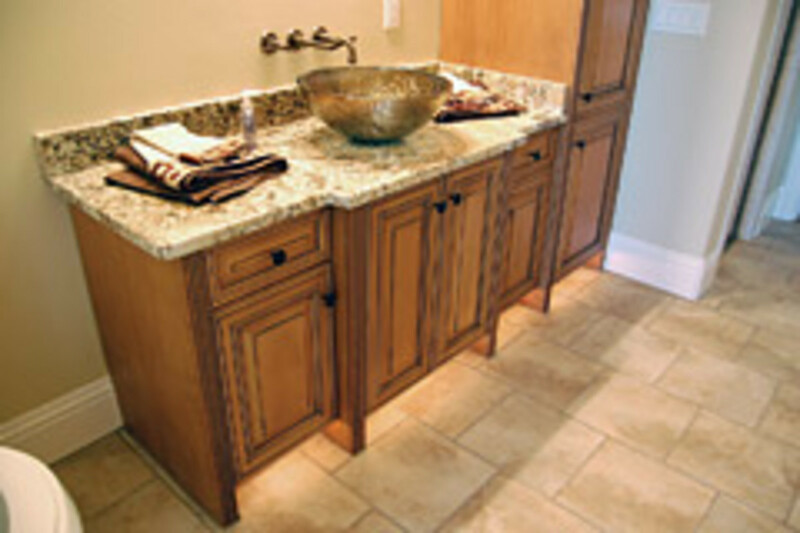 An upgrade, for example, might be a cabinet that has a soft closer on the door or drawer. "Our plan is to be a semi-custom cabinet manufacturer," he says. "We will have a catalog and a Web site [where] you can place an order and the information will be directly downloaded into our Microvellum program through Selling Point. It will be then processed for machining and all the information sent to the shop for processing." Also in the works is a closet division. 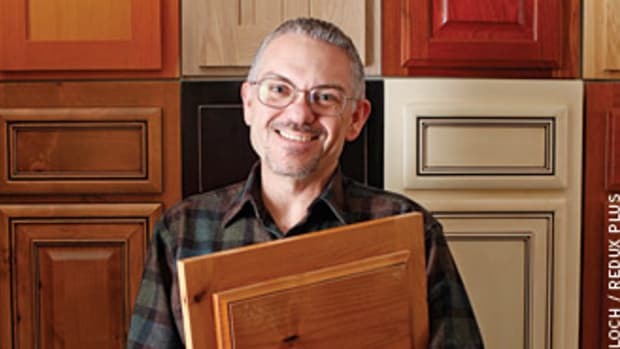 Ward now sells all-wood cabinets and closet products through a local business, Kitchens & Stuff. He&apos;s also hired a bookkeeper who will be trained as a salesperson for his closet work. "We have recently contracted with a local trim carpenter/onsite cabinetmaker to sell and install our cabinets," Ward says. "I feel pretty confident that in the near future, with a catalog, we will be more in manufacturing and [doing] less installing. Just in the last two months we have seen more local interest than we ever had before. The local builders and a lot of local shops don&apos;t have any work, and some are even dead, so to have all this work coming in is just fantastic. We look forward to a really good year." Ward says there&apos;s a good chance he&apos;ll build homes again someday. He aims to build A Ward Design to a point at which he can sell it; maybe turn it into an employee owned-company or let one of his two sons run it. "I always want to be a part of this because this is in my blood, but I really enjoy building houses. I&apos;m very passionate about cabinetmaking and I hope that if I start building homes again I can incorporate our style of woodworking into the new homes in a way nobody else is doing. I would like to build a smaller house with extraordinary woodwork to attract a would-be buyer."